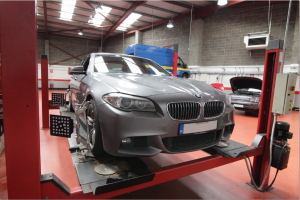 Wheel alignment is a very important in maximizing the effectiveness of your tyres and steering. If your wheel alignment is out of sync it can cause excessive tyre wear. This can create issues with your steering. At Atlas Autoservice we use computers to check and align your wheels. We are proud to offer our customers the most advanced front-wheel laser technology on the market. When we set about aligning the wheels of your car, we adjust the angles of the wheels. So that they are perfectly perpendicular to the ground and parallel to each other. This means that you will maximise the life of your tyre. Your car will track correctly when driving, meaning you have a straight drive. We also provide balancing of your wheels, a separate procedure which ensures a smooth drive and stable handling of the car. When a wheel or wheels are out of balance it can cause a pull on your steering wheel. You will notice this when driving at motorway speeds, that pull and excessive vibration that you can feel through the steering wheel. We can fix this very simply and quickly. If you have any questions on this process or would like to arrange a booking, just email us or call (1890) 42 52 62. 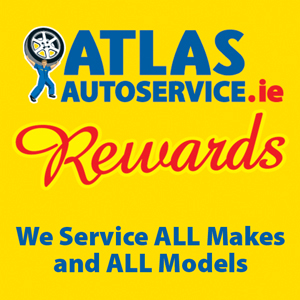 Or why not call into your local Atlas Autoservice Branch and we will be happy to provide a free no obligation inspection and quotation. Front wheel side slip & rear wheel side slip are common Nct fails. Sometimes referred to as steering geometry. Copyright © 2019, Atlas Autoservice.